Home Festival Why Should One Perform Pitru Shraaddha? Why Should One Perform Pitru Shraaddha? Mahalaya Paksha (15 days of Ancestral Rituals) is the most important time of the year for one to perform Tarpanam for ones ancestors. Every year during Mahalaya period, the spirits of your ancestors come to the Earth plane to receive your offerings through the Tarpanam ritual and bestow their blessings on you, which has the power to change your destiny. Matru Devo Bhava; Pitru Devo Bhava; Aachaarya Devo Bhava; Atithi Devo Bhava; Worshipping these four categories is given highest significance and importance in Hindu Dharma. Among the four, Matru (Mother) and Pitru (Father) Aachaarya (Guru) have attained greater prominence since they are the people who are responsible for our birth, culture (samskara) and existence. They are the one who have contributed for our welfare and growth; they are our friends; philosophers and guides; they are our mentors and our role models. Mata-Pitru seva (serving parents) when they are alive and performing Pitru Yagna after their departure has been prescribed as the best way to get discharged from Pitru Runa. One may get a basic doubt as to how can one serve his parents after their death. This is where Vedas/Upanishads come into picture; prescribes certain rituals to be performed in a Vedic way that pleases not only the forefathers but also Pitru Devatas and Samastha Pitru Antharyami Lord Vishnu. We find several sacred texts (Puranas) like Garuda Purana, Vaayu Purana, Agni Purana, Matsya Purana, Maarkandeya Purana; Dharma Saastras etc… referring about the sacred rites to be performed to forefathers; its merits and implications of not performing. Pitru Yagna (performing sacred rites to forefathers) is one of the best traditions of Hindu philosophy that is being followed since ages. PITRU YAGNA is one of the Pancha MahaYagnas (five great sacrifices) prescribed for a devout Hindu. Having taken birth on this sacred celestial Karma Bhoomi Bharatha; one should get discharged mainly from three types of Runas (Debts) viz. Deva Runa, Rushi Runa and Pitru Runa (includes Matru Runa). It becomes an ardent duty & responsibility of a son to perform Pitru Yagna. Hindu Dharma prescribes that they should be worshipped on a daily basis while they are alive and also when they depart from this world. When they leave this world it becomes the Vedic duty of their descendants to worship their departed souls on a daily basis (through Brahma Yagna) apart from performing Shannavati (96 specific days in a year); during Parvakaala like Uttaraayana, Dakshinaayana, during Eclipse time; during Pitru Paksha; through annual ceremony; through Theertha/Kshethra sraaddha; Pushkara shraaddha; while performing marriage/upanayana (Nandi shraaddha) etc. It is believed that the souls will attain peace with sacred rituals/rites performed especially during Pitru Paksha and Pitrus will bestow their blessings to those who perform for the welfare and prosperity of their Vamsam (dynasty). It is said that departed souls for whom these rituals/rites are not performed will wander aimlessly on Earth; embarrassed it will manifest in the form of Pitru dosha resulting in nagging problems/sufferings related to marriage, progeny, health, lack of growth and prosperity, nagging domestic problems etc. It is believed that performing sacred rites to forefathers will work as a remedy for Pitru dosha. It is said and believed that one will get discharged from Pitru Runa by begetting an offspring (continuity of generation); by serving the Parents; by performing Pitru Yagna (sacred rites to forefathers). A son is known as Puthra. The word Puthra if it is split into two it becomes Pu + Thra. Pu means Punnaama a name of Naraka loka and Thra means to rescue. Therefore Puthra means the one who rescues his parents and other ancestors from Punnaama Naraka. Ignoring forefathers; Moola Purushas of one’s lineage; is like ignoring one’s own existence. Perhaps Pitru Yagna is one of the best traditions that have descended from Vedic days. In this materialistic modern world with changing perceptions, when dhaarmic duties and responsibilities are slowly getting vanished; it is disheartening that people don’t even remember names and Gotra of their ancestors. For such of those who cannot observe these rituals on a day to day basis, perhaps Paksha Masam or Pitru Paksha comes as a boon to make up these lapses. Some people who have visited Gaya Kshethra and performed Gaya Shraaddha are under the impression that they need not further perform Pitru Sraaddha. It is only myth. There is no such injunction and it has to be performed as long as one is alive. Garuda Purana says that, one may think twice before performing any other ritual or austerity but not (should not) the Pitru Karya which gives Akshaya Trupthi (everlasting satisfaction) to forefathers that can be performed again and again. Mahaalaya Pitru Paksha is the best opportune time to pay obeisance and salutations to forefathers and seek their blessings. Worshiping forefathers through Pitru Yagna pleases the supreme Lord Vishnu who is Prapitaamaha of the universe. If Lord Brahma is creator of this world; Lord Vishnu is the Creator of the Creator. If Lord Brahma is Pitaamaha then Lord Vishnu becomes Prapitaamaha. Sri Vishnu Sahasranaama Stothram (sloka # 104) eulogizes Lord Vishnu as Prapithaamaha. He is the great grandfather; father of all fathers; samastha PithruAntharyami. I take this opportunity to appeal to one and all eligible to perform these rites, please, perform them without fail, without counting upon the benefits one has derived from fore-fathers. If not started earlier please, start doing it at least now. Better be late than never. Today’s alive are tomorrow’s forefathers. Shradh marks an important time for performing the ritual of Tarpan. 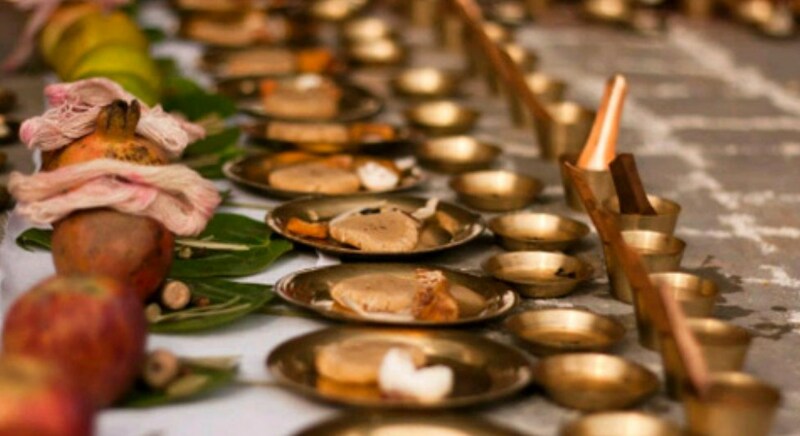 Performing Tarpan in Shradh is a way of remembering, thanksgiving and honoring the ancestors for whatever they have given to the present generations. It is a way of telling them that they are still an important part of the family and they still reside in our memories. Period of Shradh is also known as Pitru Paksha. Pitru Dosha arises if one does not perform the rituals of Tarpan in Shraddh. Pitra Paksha, also known as Mahalay, is a period of fifteen days. It is the time designated to give devotion or to offer respect to the dead and departed ancestors of the family. These; Fifteen days are called ” Pitra Paksha”, or most popularly known as “Shraddha (श्राद्ध) or Shradh” days. They are also called by the name of “Kanagat.” The dark half of Ashwina (September-September) is observed as Pitra Paksha throughout the Hindu world. Mahalaya Amavasya is the most important day of Shraddh. On this day Shraddh can be performed without looking date, tithi, nakshatra etc. It is known as Sarva Pitru Shraddh. During Pitru Paksha, the ritual of Tarpan is performed for the departed souls to rest in peace. This Shradh in 2016, let’s ask for the blessings and removal of Pitru Dosh. Tarpan and Shradh are performed on all Amavasi or no moon days. But the most important period to perform Shradh is the Pitru Paksha period during the Krishna Paksha fortnight in Ashwin month (September – October). In some regions this period is the Bhadrapad Krishna Paksha. Mahalaya Amavasi – Most important day of Shradh – On this day Shradh can be performed without looking date, tithi, nakshatra etc – it is known as Sarva Pitru Shradh. In Tamil Nadu, Shradh is observed on Thai Amavasi and Aadi Amavasi. 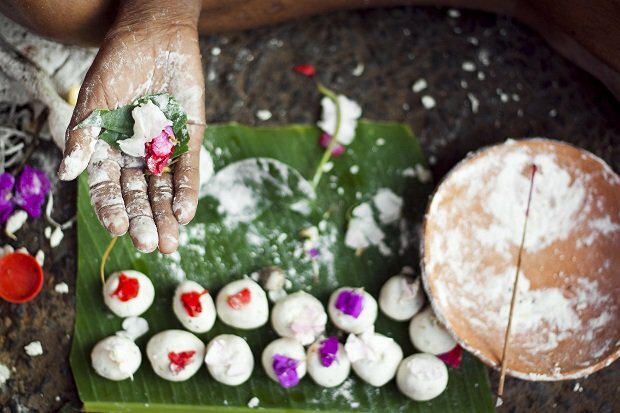 In Kerala, the ritual is observed on Karkidaka Vavu Bali. It is believed that if you perform Shradh rituals at specified holy places, the departed souls stay happy and their souls get liberated. There are 12 types of Shraddha in the Hindu religion. Nice commentary. May God bless the one who has taken efforts to publish this.